Mixed climbing by Scottish tradition. Scotland is well known for best Single Malt, Haggis and bad weather. Moreover, the Scots care for a completely independent climbing ethic: traditionally, honest and without compromises. This is a report of likable people who live this culture. In January, Susanne Süßmeier from the German Female Expedition Squad and I were invited by the British Mountaineering Council for the BMC International Winter Meet 2016 – a mixed climbing event in Scotland. I was looking forward of taking part in this event. Almost 40 participants from different countries around the globe were invited. The international meeting was well organized: The program included daily climbing in daily new areas, and in changing climbing parties.  In the evenings the participants presented their own winter climbing areas in Scotland, Canada, India, USA, Greece and Portugal. Beside the exploring of the Scottish mountains, there was enough time for interesting conversations. Numerous new contacts were made, and in the course of the week friendships have been formed and future plans were built. The event was a great success. 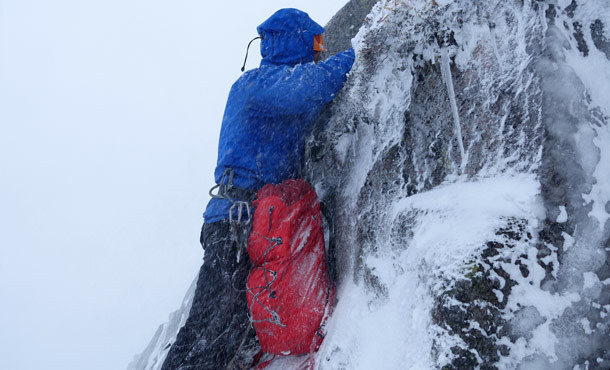 It is the exceptional climatic conditions, what makes the Scottish winter climbing so special. A high precipitation rate and successive periods of thaw & frost with cold polar air masses ensure the proper conditons for winter climbing. 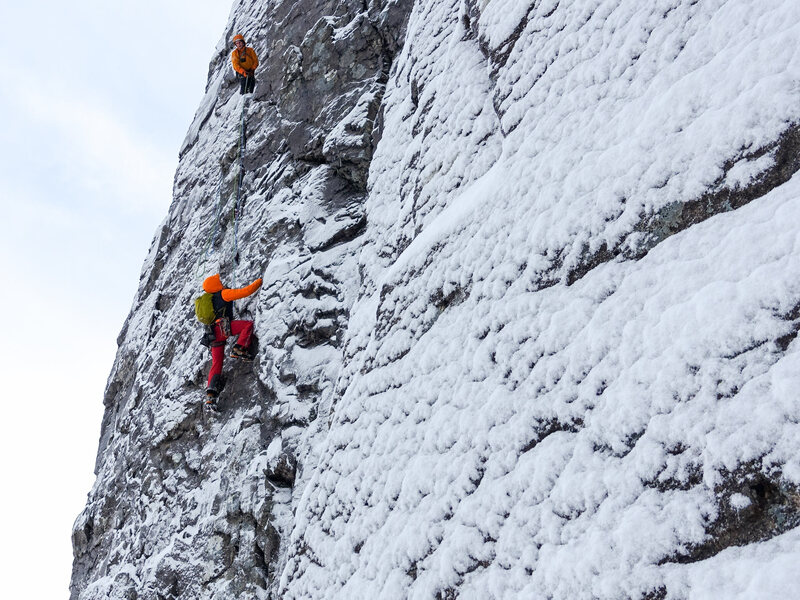 The Scottish tradition for winter climbing states that a climbing route should be wintry in appearance (iced or snow blown cliffs). The rock and turf should not be wet, but must be frozen. 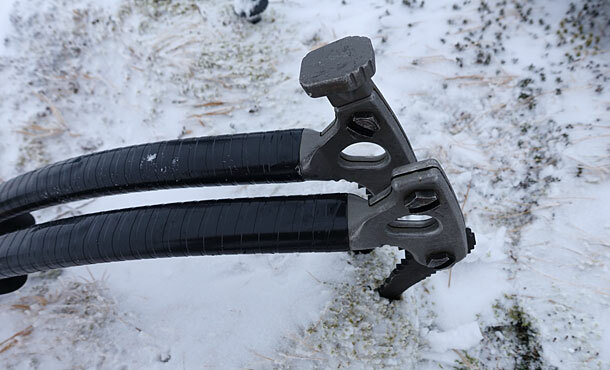 It should be easier to climb a route with axes and crampons than without. 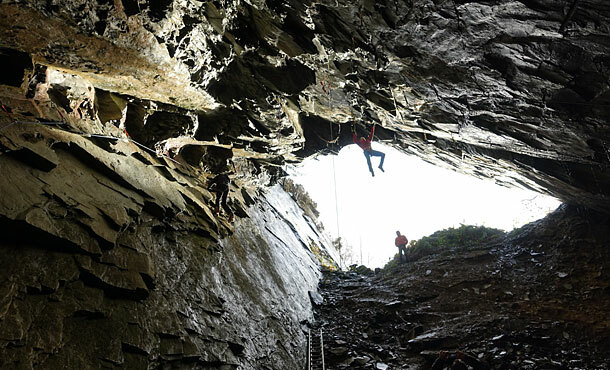 At the beginning we had mild temperatures and strong winds with gusts up to impressive 160 km/h, therefore we decided to spend the day in the cave of the Drytooling area of Newtyle Quarry at Dunkeld. Despite the partial harsh conditions during the following days, we were able get things done. 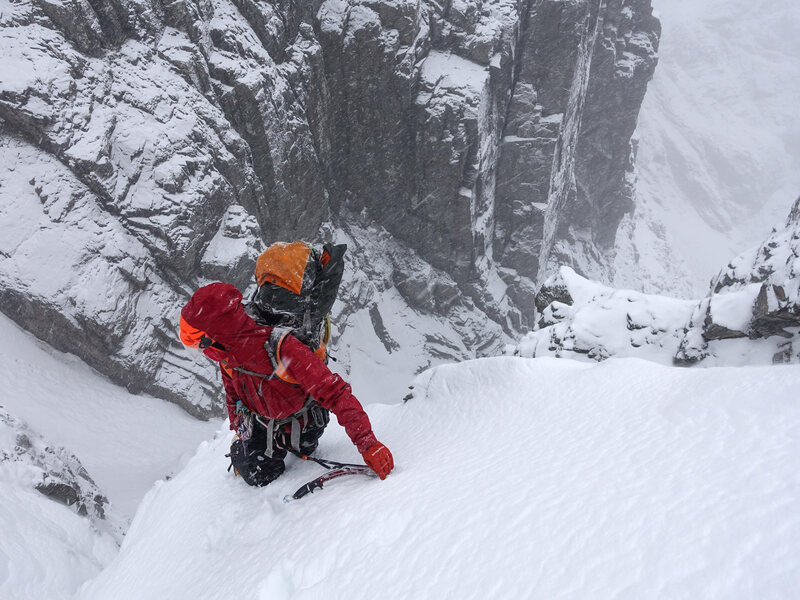 On a 16-hour day trip along with Masa Sakano we climbed Thompson’s route on Ben Nevis at the sector Coire na Ciste – Number Three Gully Buttress. Another highlight followed the next day. 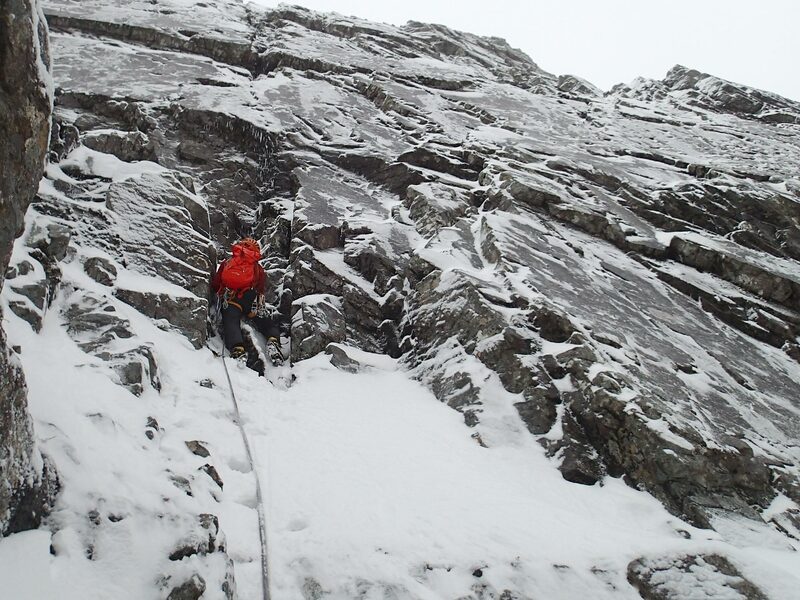 The first ascent of a new route (V,7) with Simon Richardson in Lochnagar at the sector The Stuic. 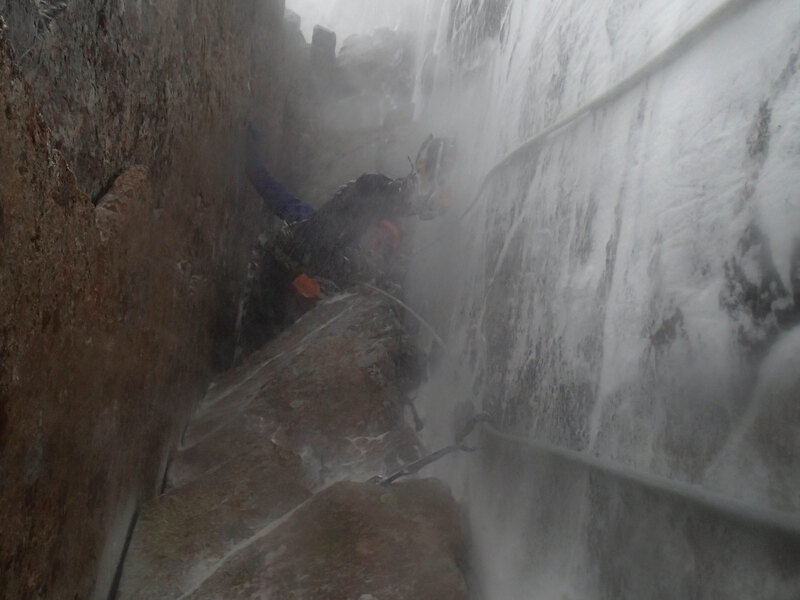 Hard to believe, under which horrible conditions Simon took out the rope and started climbing. My full respect! The weather took its toll, the days were very exhausting. Friday brought surprisingly strong storms with infernal gusts of 240 km/h and provided an opportunity for a day of rest, which we all accepted gratefully. The planned visit of the Dalwhinnie Distillery unfortunately did not take place because the roof surprisingly was blown away (Storm Gertrud was in charge for this impressive performance). Fortunately the bar in our lodge offered an adequate alternative. Heavy snowfall transformed the area into a fairytale landscape, with several roads blocked. But thanks to the excellent local knowledge of Andy Nisbet und Simon Richardson we succeeded to climb Central Buttress Direct on Mam Suim, Creag na h-Iolaire, which we reached in walking distance of the Lodge that day. 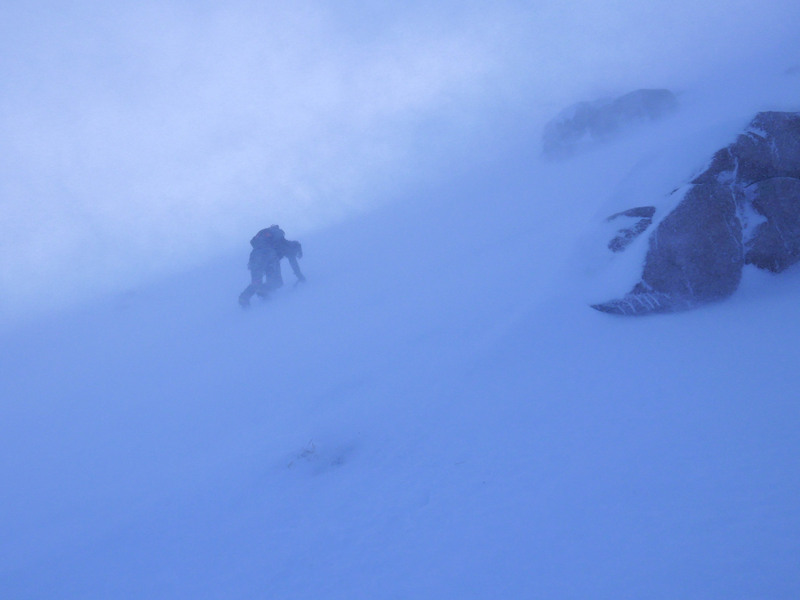 The last day brought very good conditions which we used for a variation of the Doorway Ridge on Lurcher’s Crag. 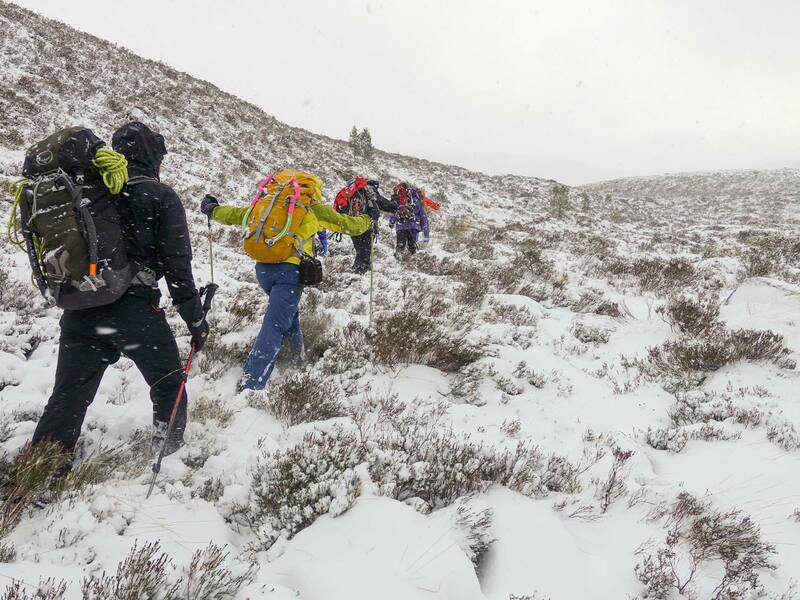 Exploring the Scottish mountains along with local climbers was an exciting affair. Local knowledge and experience are of great advantage. It can happen that a cliff is not in winter conditions, while a neighboring cliff is perfectly in shape due to its exposure. 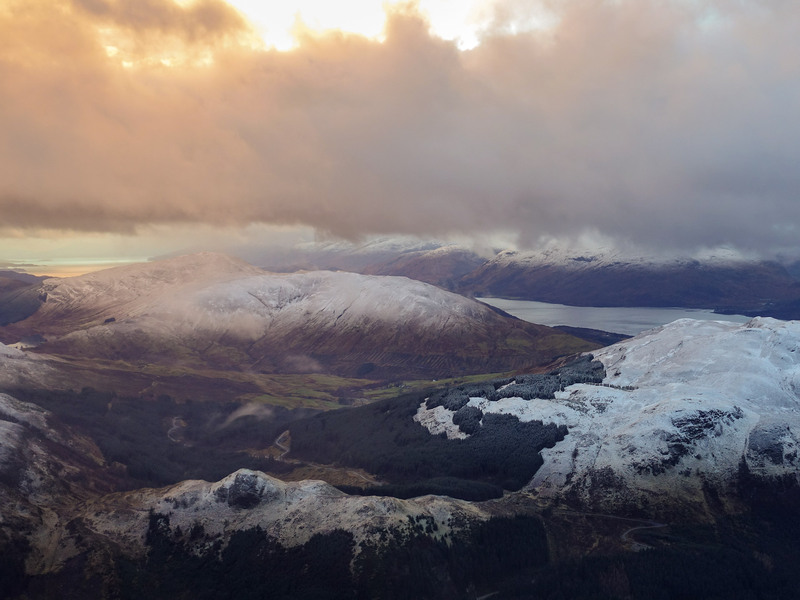 In addition the orientation in the Scottish Highlands plays a central role in the face of rapidly and constantly changing weather situations. The climbing areas are very remote, approach walks through impressive moor and heath landscapes are long, and on the way snow and sleet can horizontally blow in your face. Rivers have to be crossed, therefore one has to deal with plenty of moist ground. The climbing routes with a few pitches are relatively short, but the summit plateau often awaits the climbers with stormy winds (even if the locals determine that it is not always the case). My respect for the Scottish mountains and for all those who climb in them, grew from day to day. The whole affair is laborious, earnings of climbing meters are very low. Despite – or perhaps because of it – a very strong and sustainable overall experience grew with great potential for real adventures. At this point I would like to thank Becky McGovern and Nick Colton for the great organisation of the event. I am particularly grateful to Simon Richardson and Masa Sakano for the first-class experiences in the Scottish mountains! Early January to late March. The conditions are mostly the best at the end of the season. The next bolt is located about 120 km south at the Drytooling spot of Newtyle Quarry at Dunkeld/Deans Park. The Scottish weather is incredibly variable – and so should be the clothes: Waterproofed jacket and pants are standard equipment in order to keep your body dry (and warm). Gaiters are helpful against wet feet during the approach walk while crossing numerous rivers. Hiking poles are useful, when you have to descend a slope during a storm. In Scotland a climbing pitch sometimes can take a little longer, so it is a good idea to bring a belay jacket (synthetic fiber in this case is the key). GPS, map and compass, snow goggles, mittens and some extra gloves keep you capable of acting. The protection in classic mixed terrain works mainly with Stoppers (1 set Offwidth Stoppers and 1 set Regular Stoppers) Hexentrics and Tricams, Ice Piton and larger Peckers are also very useful. Ice screws are rarely in use. Camalots up to #2 are useful, but not good in icy cracks. Haggis. This Scottish specialty consists of the stomach of a sheep, which is filled with heart, liver, lungs and oatmeal. Tastes delicious!